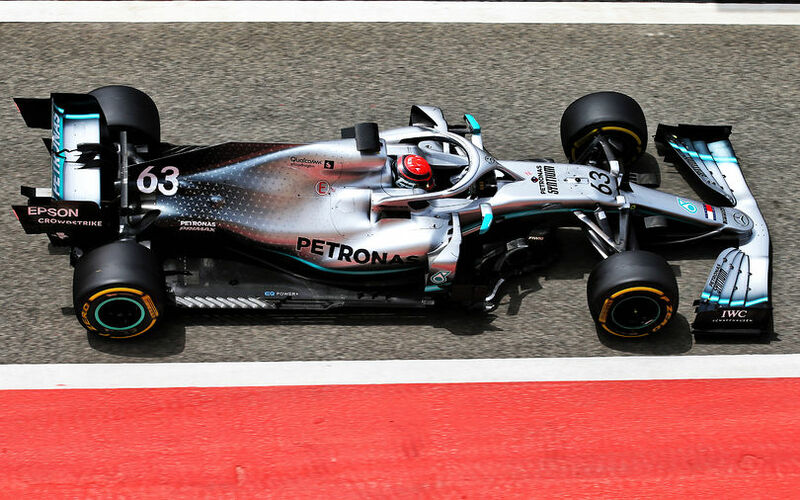 George Russell was driving the Mercedes-AMG F1 W10 EQ Power+ and completing 101 laps, thereby setting the fastest time of the day. The team did have a productive day, despite a weater leak early after lunch that took a considerable time to resolve. "Whilst we couldn’t complete all our test items, we’ve done the important bits and we leave here with more information and understanding of the car and tyres and we’ve managed to test some developments that we plan to roll out over the next few races." Sergio Perez ended up an extremely close second for Racing Point as they completed a testing programme on four different tyre compounds. Tom McCullough, the team's performance engineering director, noted the timing of the in-season test was perfect, as it allowed the team to better understand the new parts they introduced in the first two races, and some more new elements they're set to debut in the Chinese Grand Prix. Sebastian Vettel took over from Mick Schumacher at Ferrari. The German focused on evaluating further set-up possibilities, mainly for short runs. Carlos Sainz was 4th fastest, sharing the car with his team mate Lando Norris. Norris drove the McLaren test car until late afternoon, undertaking aero research on low and high fuel runs plus replicating procedures normally carried out over a grand prix weekend, with Carlos taking over for the final 70 minutes. 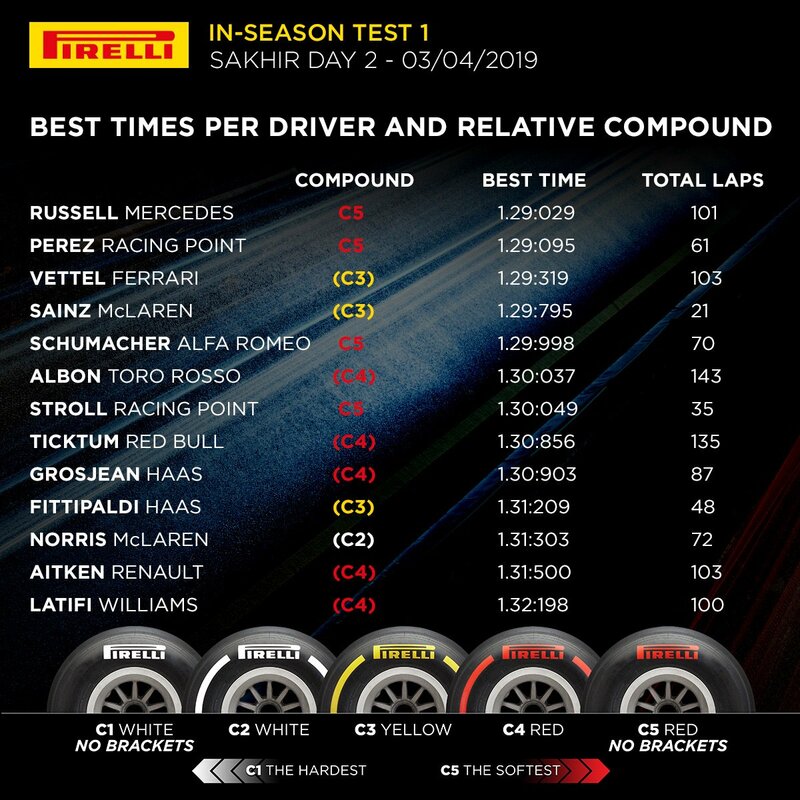 Meanwhile Carlos drove the Pirelli car until Fernando took it over shortly before 13:30hrs, the Spanish duo continuing 2020 tyre evaluation and development. Kvyat did Pirelli tyre testing with Toro Rosso as well while Alex Albon ran the other Toro Rosso. They too had trouble free days. The other teams present had their test drivers in the cars today, with Fittapaldi driving the Haas VF-19 - shared with Romain Grosjean -, Jack Aitkan steering the Renault R.S.19, Dan Ticktum on duty for Red Bull Racing and Nicholas Latifi behind the wheel of the Williams FW42.